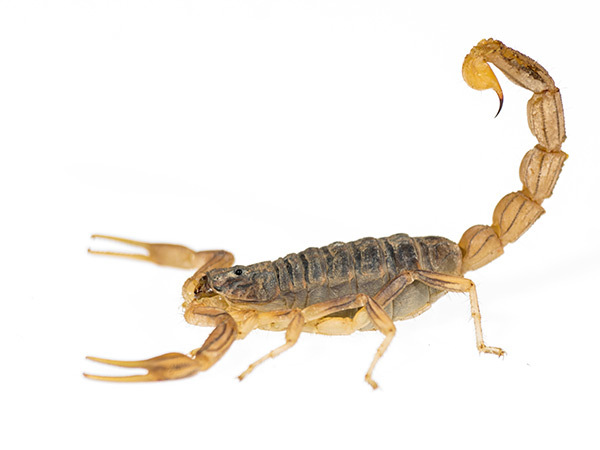 Venom that’s rated as some of the world’s most potent comes from the Androctonus australis, a scorpion also known as “the mankiller.” UI scientists used a toxin purified from the scorpion’s venom to capture detailed, 3D pictures of a sodium channel protein involved in pain. An international team of scientists, including University of Iowa biophysicist Chris Ahern, PhD, used a lethal scorpion toxin to capture detailed, 3D pictures of a protein involved in pain. The toxin locks the pain protein into a particular “pose,” which allowed the researchers to see, for the first time, several unexpected interactions involved in how the protein works. “The scorpion venom contains a compound that causes pain in animals by binding to the Nav1.7 sodium channel protein. By using this compound to study a human sodium channel, we learned more about the channel, as well as new ways to potentially modify its function,” explains Ahern, a Carver College of Medicine professor of molecular physiology and biophysics. 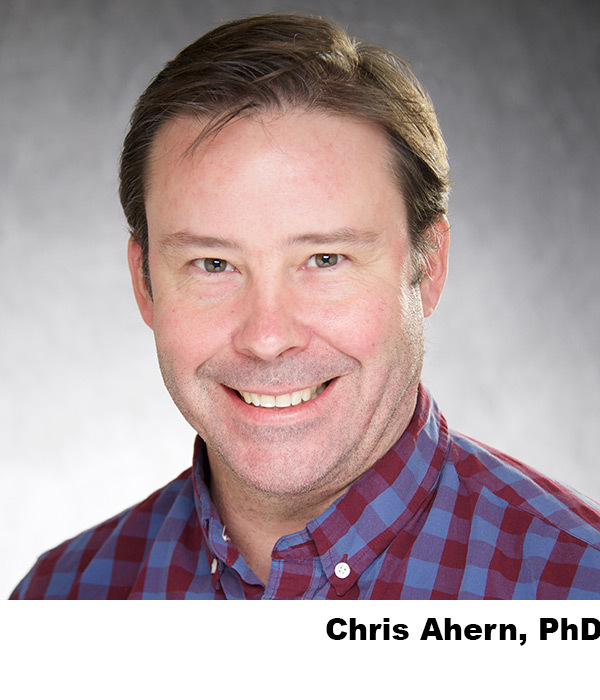 Ahern, a member of the Iowa Neuroscience Institute, was a co-corresponding author of the study. Voltage-gated sodium channels, or Navs, form pores in cell membranes for sodium ions to flow in and out of cells. These channels control rapid signaling pathways in nerves and muscles that are critical for a host of fundamental functions, like thought, heartbeat, the sensation of touch, and pain. The team’s study was one of three research papers on Navs that were published together in the March 22 issue of Science, along with a perspectives article summarizing the insights from the research into how these critical proteins work and potential targets for manipulating their function. For this study, Ahern collaborated with researchers at Genetech Inc. in San Francisco led by Jian Payandeh, who supervised the project; Alexis Rohou; David Hackos; lead study author Thomas Clairfeuille; and Frank Bosmans, who led a team of researchers at Ghent University in Belgium. Danny Infield, a postdoctoral research fellow in Ahern’s UI lab, was also part of the team. The team focused on the Nav1.7 channel subtype, which uniquely regulates pain. Minor alterations in the protein sequence of this channel cause several genetic pain syndromes in people. In order to visualize the part of the channel that controls rapid signaling, a section of the human Nav1.7 channel was grafted onto the sodium channel from another species; the cockroach. The researchers used this hybrid protein to obtain the 3D images that revealed the structure of the part of human Nav 1.7 that is important for function. The channels work by toggling quickly between activated and deactivated states. When the scorpion toxin binds to the Nav1.7 domain, it freezes the protein in the deactivated pose. Comparing this structure with the 3D picture of the protein without the toxin, revealed several unexpected protein-protein and protein-toxin interactions, and provided a detailed picture of the significant structural changes involved in shifts between states. Overall, the findings revealed new information about the molecular machinery that controls rapid signaling pathways, and sheds light on why certain mutations in the Nav proteins are involved in human diseases that cause pain, as well as other conditions, including epilepsy, heart rhythm disorders, and muscle diseases. The Ahern laboratory is supported in part by funding from the National Institute of General Medical Sciences, the National Institute of Neurological Disorders and Stroke of the National Institutes of Health, and the American Heart Association.